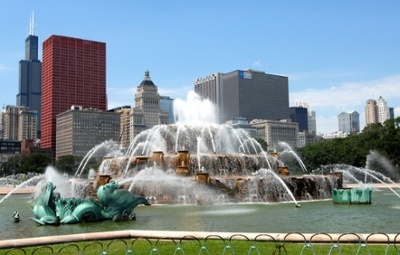 Buckingham Fountain is one of the most iconic public works of granite in Chicago, serving as the gateway to the city in a grand display of opulence. With jets of water that shoot up to 150ft in the air, Buckingham Fountain is one of largest fountains in the world, modeled on the wedding-cake style of construction popularized by the Gardens of Versailles. This stunning piece of sculptural architecture is fashioned from pink marble with granite elements. 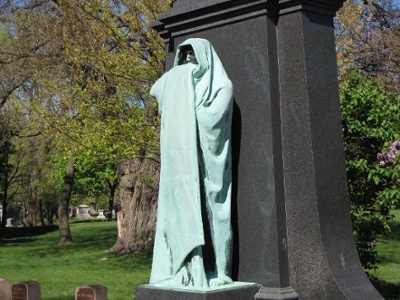 Designed and created by American sculptor Lorado Taft in 1909, Eternal Silence is a haunting monument that resides in Graceland Cemetery. 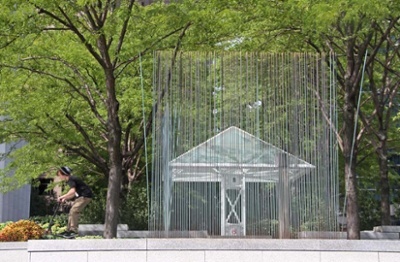 The piece was commissioned as a monument to Dexter Graves, who led a group of thirteen families to Chicago from Ohio through horrific conditions. And what a monument it is; in this unforgettable masterpiece, a 10ft tall bronze depiction of the grim reaper poses before an abyssal black granite background to chilling effect. Augustus St. Gaudens made this sculpture of slave-liberator Abraham Lincoln from memory in 1926 to honor his Illinois heritage. 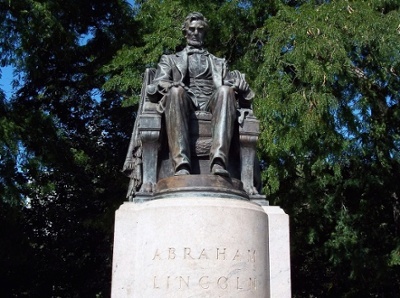 Located in Grant Park, this noble figure is cast in bronze and mounted atop an enormous granite plinth, where the former head-of-state can be seen from across the thoroughfare. 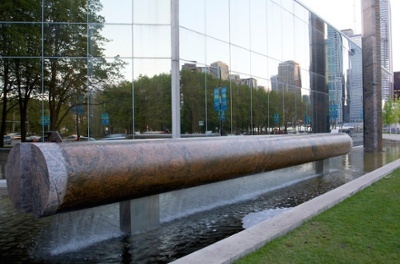 This abstract piece embellishes the Aon Center Plaza on Randolph Street in Downtown Chicago. Resting on a solid granite plinth, tall rods of copper and brass alloy emerge from the stone like mighty golden stalks of grain. As currents of air from the Windy City move through the sculpture, it vibrates and sings, filling the plaza with a lovely humming harmony. Cut from a single three-hundred-million-year-old slab of rainbow granite from Minnesota, this bicentennial monument fashioned by sculptor Isamu Noguchi represents the integrity of the natural foundation of the US combined with its immense progress and fortitude. Noguchi used precision lasers to carve this piece into immaculately, which is at once modern and timeless. 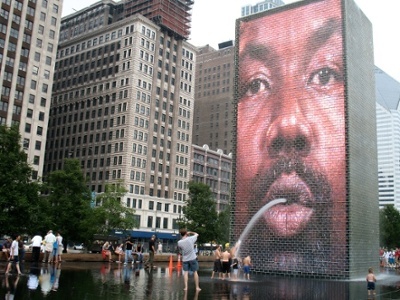 Since its construction in 2004, Jaume Plensa’s Crown Fountain has become a hallmark of Millennium Park. These enormous, interactive video-facades are made from Black granite, glass brick, and LED screens to create a comical virtual reality effect that is surreal and engaging. The beautiful appearance of granite is not only reserved for public parks and sculptures. Interested in adding some stunning granite to your home? Visit Granite Selection online to browse through our expansive selection of affordable stones or to schedule a free in-home measurementappointment with one of our granite specialists.